As we near the end of another academic year, I’m reminded of the bittersweet nature of this season. While we are proud to see our seniors graduate and move into their exciting futures, we are also sad to know that they will no longer be a daily presence among us at OWU. In similar fashion, this has been a year of highs and lows for our fraternity and sorority community. We felt the joy of new chapter members as they were welcomed into their new brotherhood or sisterhood. Additionally, we recently concluded another successful Greek Week where our members provided meaningful service to our community, enjoyed some friendly competition between chapters, and shared their pride for their organizations with the larger campus. On the other end, we felt sadness with the suspension of one of our fraternity chapters this past fall, and though we know that adherence to our organization’s foundational values and principles is a commitment that cannot be compromised, it is nonetheless a painful experience when such actions must be taken. This is also a season of change when it comes to fraternity and sorority facilities. We are aware that some of our fraternity houses are in dire need of attention and are in the active planning phase of remedies to address them, and more. We continue to firm-up these renovation plans and look forward to sharing greater details about the resources available and the timeline for the work soon. Additionally, the alumnae leadership of our women’s organizations are in conversation with me and others at the university about the needs related to their off-campus chapter houses and potential on-campus alternatives should they be needed. We know that the cost of maintaining these off-campus homes has a significant impact on the cost of membership for our undergraduates, and I am thankful that their chapter alumnae are in active dialogue about potential solutions to help keep chapter dues at an affordable level. These recommendations will help lay the foundation for a new strategic plan or our fraternity/sorority program, and I look forward to involving students, alumni/ae, and other campus constituents in that conversation in the near future. My best wishes to you for a wonderful summer and thank you again for your support for the Greek experience at OWU! 19 OWU Alumni work for Greek Headquarters! Greek day of service = 615 hours served! The following Greek individuals will be honored during Reunion Weekend 2019. Please Save the Date to celebrate with Joni and Richard during Homecoming & Family Weekend! Nominate a Greek alumnus/a. Due June 1, 2019. Delta Delta Delta: We have initiated 14 new members this year. We look forward to our new philanthropy event this spring benefiting St. Jude. We are looking for more ways to raise money for St. Jude and, most importantly, for the children! Delta Gamma: Alpha Rho welcomed home thirteen new members, bringing our house total to 47 brilliant, kind-hearted young women. Alpha Rho held another extremely successful Anchor Splash, where we raised $4,745.36 for the Delta Gamma Foundation and Service for Sight. During this year's Greek Awards, Alpha Rho received the Greek Standards of Excellence award. Additionally, Alpha Rho received the Patricia Peterson Danielson Award from Executive Offices. Delta Zeta: Our chapter welcomed 12 new sisters this spring, bringing our total up to 43 sisters in the chapter. The house at 136 West Winter Street has been improved over the summer with a beautiful new concrete driveway, new recruitment closet, new front porch step as well as a lovely new kitchenette for our house mom, Sonya. Additionally, we proudly took home four chapter awards at the Greek Awards: Chapter Excellence Award, Chapter Involvement Award, Chapter Community Service Award, and Chapter Program of the Year. Kappa Alpha Theta: The Gamma deuteron Chapter of Kappa Alpha Theta has had a very successful spring so far. At OWU's Greek Awards, we received awards for academic and chapter excellence and two of our members won individual awards for their outstanding citizenship, scholarship, and leadership. We have recently welcomed 13 new members into our Chapter and we are all looking forward to our spring philanthropy event, Kats & Bats, on April 27th! Kappa Kappa Gamma: Rho is proud to announce its chapter's growth with the initiation of 16 new members to the Spring 2019 pledge class. 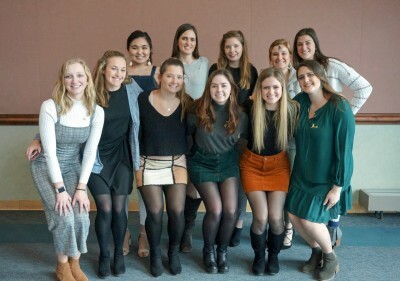 Implementing a new officer structure, Rho installed nine chapter council members who are now facilitating chapter activities, including the spring philanthropy event, Kappa Kapture the Flag, which raised $1,405.51 for Reading is Fundamental. Alpha Sigma Phi: Overall, this semester went well for Alpha Sigma Phi. The house brought in a diverse new member class who are involved on campus in activities such as WCSA, intramural/varsity sports, marching band, and many others. Alpha Sig had the distinct privilege of receiving OWU Greek awards for Chapter Excellence, Chapter Community Service, and Chapter Program of the Year through a collaboration with Delta Zeta; additionally, two brothers received awards for Student-Athlete of the Year and Emerging Leader of the Year. Chi Phi: This spring we welcomed seven new members into our brotherhood. Throughout the semester, our brothers have been hard at work on campus and in the house. We were awarded the Chapter Philanthropy Award for our fall philanthropy, the Fall Festival, during which we raised $1,740. One of our members, Ben Arnold, won Fraternity Member of the Year. In addition, we were awarded Chapter Involvement and Gold Chapter Excellence. Delta Tau Delta: Delta Tau Delta received a pledge class of seventeen members, the highest of any of the fraternities. Generous alumnus, Rusty McClure '72, renovated our porch this year, and it looks great! We're looking forward to the upcoming academic year, and all of us are excited to expand our brotherhood even further. Phi Gamma Delta: At last summer’s Ekklesia event, the brotherhood brought home the Owen Cup trophy, signifying the highest GPA nationwide along with an honorable mention for the Zerman Trophy, signifying excellence on campus and in community involvement. The Theta Deuteron Chapter of Phi Gamma Delta celebrated their 150th anniversary on March 23rd at their annual Pig Dinner. The chapter had the pleasure of thanking the many graduate brothers for their constant support and generous donations of over $70,000 for house improvements! Sigma Phi Epsilon: During the spring semester, we added ten new members and our leaders began their first semester as part of the executive board. We are going strong as a house, continuing to use the Balanced Man Program to grow our members as individuals. Overall, the brothers of the Ohio Epsilon chapter of Sigma Phi Epsilon are doing great. 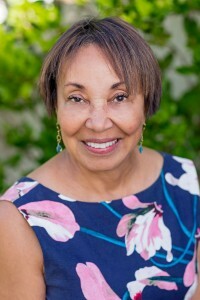 In 1965, Ohio Wesleyan student, Diane Y. Petersen made history when she became the first African American woman in the nation to be initiated into the Delta Delta Delta sorority. Petersen, M.D., will share her inspiring story May 11 when she gives the keynote address at Ohio Wesleyan's 175th commencement ceremony. 160 members of the Theta Deuteron Chapter of Phi Gamma Delta came to campus to celebrate their 150th year anniversary on March 23rd at the annual Pig Dinner. International Badge Day, celebrated March 6, 2019, is a day to honor sisterhood. Students and alumnae (including above: Delta Delta Delta) came together to celebrate. On Thursday February 21st, The brothers of Delta Tau Delta and the sisters of Kappa Alpha Theta had the opportunity to get together for a very special occasion. February 21st was a very important date – it was the fiftieth anniversary of Delt’s beloved academic advisor and benefactor, Rusty McClure ’72 meeting his wonderful wife and Kappa Alpha Theta contributor, Dr. Amy Anderson McClure ’72. Dr. Amy McClure is the Rodefer professor of Education at Ohio Wesleyan and the chair of the education department. Rusty teaches a very popular entrepreneurship course at OWU and is extremely involved in the development of programming for Delta Tau Delta, Mu Chapter and has made many improvements to the Shelter at 20 Williams Drive. There could not be two more special individuals to be honored. The Delts and Thetas met in the living room for a brief time before being ushered downstairs to the very special dining room where Rusty and Amy met some fifty years prior. OWU’s excellent A-Capella group, Pitch Black, serenaded all in attendance before Rusty and the presidents of each organization welcomed all in attendance. Rusty and Dr. McClure both gave stirring speeches about their love for each other and pursuing each opportunity in our own lives to find our special someone. The microphone was passed and each and every member of both organizations introduced themselves and made remarks of appreciation for the McClures. Following dinner and closing remarks, the brothers of Delta Tau Delta and the sisters of Kappa Alpha Theta again met in the living room for more conversation and pictures and were all presented with signed copies of Rusty’s book “Cincinnatus.” The evening was beyond special and more than a few happy tears were shed. It was extremely wonderful to be able to witness and commemorate such a wonderful occasion. The love that the McClures have shared over the years and continue to share is something that is both rare and easy to celebrate.